It was just three weeks into the Viessman World Cup luge season, and on Dec. 13 in Park City, the United States team had its season record of 13 medals in its sights. On this Saturday night in Park City, both Summer Britcher and Chris Mazdzer both took home the gold  with the Americans tally already up to 11 medals. The team garnered six medals last week in Lake Placid, New York. Mazdzer, from Saranac Lake, N.Y., had strained his neck during a mid-week weight-lifting session. However, he overcame the pain and posted the fastest final training run at Olympic Park. He took this momentum to the competition and captured his second career singles gold medal. Later that evening, Britcher and teammate Erin Hamlin replayed their Friday night efforts and took gold and silver in the BMW Sprint World Cup event. Hamlin recently took medals in four consecutive starts, while Britchers received a bronze and two golds in her last three events. This was the third time this season that U.S. lugers placed first and second in a World Cup race. In the luge doubles competition, Americans Matthew Mortensen and Jayson Terdiman brought a fifth place showing, while Justin Krewson and Andrew Sherk commanded a respectable 8th place, and Jake Hyrns and Anthony Espinoza slid into 14th place. The Utah Olympic Park places host to many other great sporting events during the winter including aerial competitions You can also come out and see bobsled and skeleton competitions. And, if you want to experience the excitement of sliding down the track of the Park, check out the Winter Comet Bobsled ride. You will be propelled down the same track that Olympic athletes train and comet on. Its a once in a lifetime experience full of thrills and adrenaline! At YouInParkCity.com and KW Park City Keller Williams Real Estate, we enjoy all these types of great opportunities. If you want to experience these great events and attractions from your own Park City real estate, just give us a call! Posted in Park City Skiing | 0 Responses to "Results of Recent USA Luge Competition in Park City"
While many people think that the only thing to do in November is winter-based sports. However, there are lots of events and activities throughout this great month that showcases all of the great things to do in Park City. Take a look at some of the upcoming events and things to do. Come out and pick up some new equipment or sell some of yours. Sale begins Friday evening at 8 p.m. This annual event is part of the Adopt-a Native-Elder program and supports the Bridge of Hope between Native Americans and other cultures. During this premier event, you will have the opportunity to purchase traditional, handmade Navajo rugs and other art pieces, as well as meeting the rug makers and artists. Celebrate like a local at the KPCW Main Street Music Crawl. This event happens at five venues, and features local bands and hundreds of participants. All proceeds go to benefit KPCW, Park City community radio station. Have a BALL with Habitat for Humanity! This gala is a fundraiser for our local Habitat for Humanity. This is the musical version of the hilarious Mel Brooks film. Youll enjoy this great hit that is perfect for the entire family. Get out and enjoy some of the first snow of the season! Enjoy a delicious tasting from the Park City Culinary Institutes graduating class. These chefs have studied under some of Park Citys best chefs and will be serving hors doeuvres and a specialty cocktail. You can find all sorts of great Thanksgiving feast ideas throughout the area. You can find delicious buffets, prix fixe menus at favorite restaurants, and even caterers who will deliver holiday favorites right to your home. Walk off some of the Thanksgiving calories at the Last Friday Gallery Stroll. Enjoy visiting some of Park Citys best art galleries. You can view special exhibits, highlighted artists and more, while enjoying light refreshments. 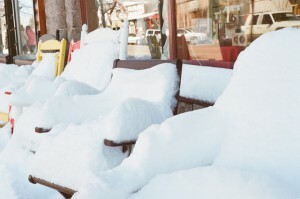 Posted in Park City Skiing, Park City Activities | 0 Responses to "November in Park City: Events, Things to Do, and More"
Is it Too Early to Shop for a Park City Ski Vacation Home? It is just barely May, there are still snowflakes in the Park City, UT 10 day weather forecast and I havent even thought about taking out a pair of short pants; so is it too early to think about the 2014/2015 ski season and owning a home or condo in Park City? My email inbox is trying to tell me that even though I havent tuned up my mountain bike or straightened out my golf swing that it is time to think about winter. 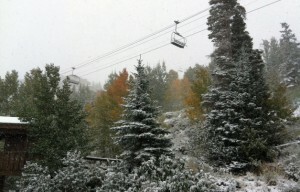 Season pass deals for next ski season are on sale now and with some great incentives to buy now. Adult season passes for Park City Mountain Resort start at $725 if purchased before May 15; after that they move to $815 (and up). 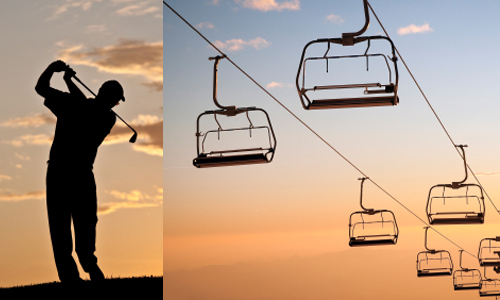 Epic passes for Canyons Resort (and 10 other Vail Resorts run mountains) include two Buddy passes if you put down $49 toward the pass before May 26, 2015. Buying now also gets you the upcoming summer biking and hiking season at both resorts (scheduled to start June 12th at Canyons and May 23rd at Park City Mountain Resort). On top of season ski pass deals in my email inbox, Im already seeing messages from property management companies with deals on 2014/2015 winter bookings which include lift tickets or gift cards for those that plan early. So how does this apply to Park City real estate? In the past 21 days (effectively the end of the ski season), there have been 20 ski vacation homes and condominiums that have gone under contract. There have also been 30 new listings of homes and condominiums we would consider to be in line with ski vacation ownership property. Three of these new 30 are already under contract! The end of the season often brings a clean break for Buyers and Sellers when it comes to mountain vacation properties. The deals are out there and as the ski season gets closer, prices often times go up. If you are considering owning in Park City for the upcoming ski season, contact a resort real estate expert with YouInParkCity.com (888)968-4672 and start the process now. 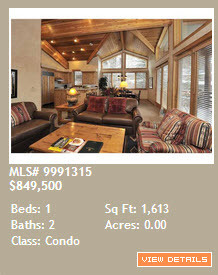 Posted in buyers, Park City Skiing | 0 Responses to "Is it Too Early to Shop for a Park City Ski Vacation Home?" a 20 minute drive to the Heber Valley makes this more than viable now that daylight savings has kicked in and the sun is out until nearly 8PM. youll only to find that the contractors are all busy with every other job that waited until the last minute. Purchasing real estate in Park City now will make all of the planning easier. Youll likely have to force yourself into making an extra ski vacation next year (darn!). But, you can work around your schedule instead of trying to find a rental. Sellers are ready to move on; it can be a good time to make a deal. Theres no need to hassle with existing rentals and management contracts. 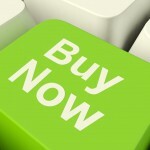 Sellers know they are moving into the slow season and will have higher upcoming carrying costs. We are not advocating that you buy a Park City vacation home now because there wont be another chance in the future, we are just pointing out that there are many good reasons not to wait until next year. There is a chance that if you start thinking about the 2014/2015 ski season now, you may actually find time to get in shape for it before it gets here. Posted in buyers, Park City Skiing | 0 Responses to "Why Now IS A Good Time to Buy a Ski Vacation Home"
Ski-in/ski-out homes and condominiums represent the ultimate ease and convenience when it comes to a ski vacation. 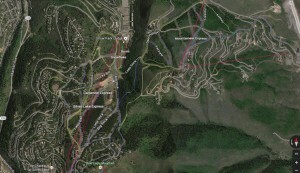 In this tour, we will be skiing Deer Valley Resort with a focus on the Deer Crest Subdivision. The first Deer Valley Ski Tour focused on the homes around Bald Eagle Mountain. With the exception of the Bald Eagle Club area, all of the homes and condominiums could be reached on skis as well as by car. The Deer Crest area by contrast is all within a private gated community, so driving the area isnt possible and skiing to many of the homes without permission also is not possible. Many of the Deer Crest properties can be seen on skis from the lifts and public trails at Deer Valley Resort. The start of our ski tour of the Deer Crest area will begin at Deer Valleys Snow Park base area on the Carpenter Express lift. From the top of the chair, ski back toward Snow Park while bearing right on the Little Stick ski run. Little Stick is an easy intermediate level trail effectively a cat-track, the run was the start of the Olympic Slalom course in 2002 and it offers great views of the Snow Park Base area and the Lower Deer Valley community. Little Stick merges with the Deer Hollow Run and enters the Deer Crest area just above the St Regis Hotel. The Deer Hollow trail is the ski access for the St Regis at Deer Valley (condominiums and residences). The funicular visible from Snow Park is the non-ski guest access for the resort. Current ownership opportunities at the St Regis Deer Valley start at $1.37M for a 1-bedroom 2-bath model and range up to $18M for a 5-bedroom 7-bath custom penthouse residence. Skiing out of the St Regis is on the Deer Hollow trail to the Mountaineer Express lift then down Deer Hollow to Little Stick to access the rest of Deer Valley Resort via Snow Park. For our tour we will exit the Mountaineer Express to the left and onto the Jordanelle ski run at Deer Valley. 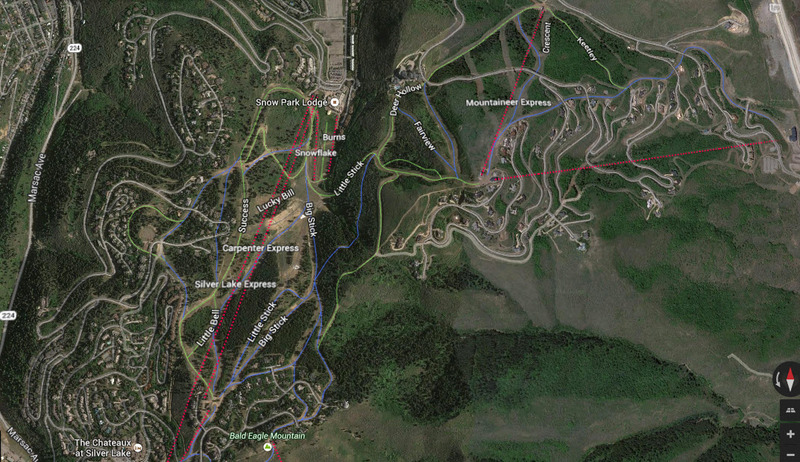 The Jordanelle ski run at Deer Valley from the top of Little Baldy Peak to the base of the gondola is the only public access trail winding through the homes in the Deer Crest Estates area. The ski runs through the Deer Crest area are a little steep and narrow for beginners, but they are well maintained and generally not crowded. Most all of the homes will access the Jordanelle Gondola and then ski down into Snow Park to access the rest of the mountain. There are approximately ten homes and homesites that have direct ski access to Snow Park without skiing down to the gondola first. 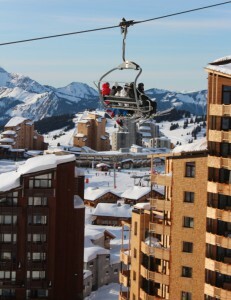 The Jordanelle ski Run passes a few homes for sale and offers a good idea of the ski-in/ski-out access of others. As the trail flattens out youll note a sign where the gondola to the Deer Pointe Villas as you approach the gondola, the Deer Crest Townhomes are visible just to the south. The gondola ride back to the top provides views of more Deer Crest Estates homes and a glimpse of the possible future expansion area at Deer Valley to the south. The gondola tops out at the top of the Deer Hollow ski run; follow this back to Little Stick and into Snow Park where this real estate ski tour started. For more information about ski-in/ski-out homes at Deer Valley Resort, contact a ski real estate specialist with the YouInParkCity.com Group at (888)968-4672. 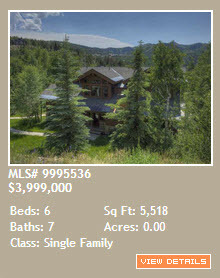 Posted in buyers, Park City Neighborhoods, Park City Skiing | 0 Responses to "Deer Valley Real Estate Ski Tour #2"
there are only so many that are directly on the beach (a block away is not the same as on the water or boardwalk). A tour of the slope-side homes and condominiums in Park City can take hours and cover many miles as well as many different price points. Deer Valley offers the most ski-in/ski-out opportunities in the Park City area; at the time of this writing there were nearly two hundred properties for sale within 100 yards or so of the ski slopes with prices starting at $90,000 for shared ownership and $600,000 for whole up to over $20,000,000 for the ultimate in ski-in/ski-out luxury estates. To see these Deer Valley homes and condominiums on skis, well start from the Snow Park base area of Deer Valley Resort and focus first on homes and condominiums in and around the Bald Eagle Mountain area of Deer Valley. At the base area there are three options within the 100 yard range of the slopes (four if you include the St. Regis Hotel, but that will be part of another tour); Powder Run just north of the main entrance to the resort, Black Diamond Lodge next to the Wide West (beginner area) and Trails End just off the Success ski run. All three of these condominium options are walking distance to Snow Park while Trials End has ski-in access and Black Diamond is ski-in/ski-out. Take the Carpenter lift from Snow Park at Deer Valley and exit the lift with a hard left turn to the Success Ski Run. At the base of the first pitch of Success, the Stag Lodge is on your left. Continuing straight puts you on the Last Chance Ski run there are currently 4 homes here in the Evergreen subdivision for sale with direct access to the Last Chance Ski run plus the new construction of the Stein Eriksen Residences which will offer 16 homes and 38 luxury residential condominiums. Bearing left to the Silver Dollar Ski run youll pass the elevator and ski access for the Belle subdivisions (Bellarbor, Bellemont, Belleterre, and Bellevue) the ski run has many of the Belles on your left. Continue on the run which loops back to Last Chance and merges with Success back to the Snow Park base area. Another trip up the Carpenter chair and this time continue straight after exiting the chair. Half way down the Silver Link run is an access trail before going over the bridge. This trail will access Double Eagle, and Cache subdivisions; across the street is trail access to ski down between Aspen Hollow, Ridgepoint, Trailside and the Woods. This ski access trail eventually merges with Last Chance and once again down into Snow Park. The access trail makes these condominiums more ski-out than ski-in, but still you are skiing without having to get in a car or shuttle. One more time up the Carpenter lift from Snow Park and skiing on the Silver Link run; this time go over the bridge. A hard right will put you into the Sterling Lodge, Deer Valley Club, and Sterlingwood subdivisions. Continuing down Silver Link, take a left turn onto McHenry and ski down to the Crown Point chair lift. The top of the chair provides access to most of the homes in the Bald Eagle Club Subdivision. From the chair it is a left to the Sunrise Run, or a right down Kimberly to Rising Star and Roamer with options leading to the Deer Crest area via Navigator or Little Stick (that leads to tour #2); stay on Kimberly to Big Stick and ski back into Snow Park. The routes described above will lead you through the ski-in/ski-out homes with direct access to and from the lower Mountain portion of Deer Valley and the Snow Park Base area. For more information on ski-in/ski-out Deer Valley and Park City homes and condominiums contact www.YouInParkCity.com (888)968-4672. Posted in buyers, Park City Real Estate Notes, Park City Skiing | 0 Responses to "A Deer Valley Real Estate Tour on Skis"
Ski-in-ski-out homes and condominiums are the pinnacle of mountain resort properties. 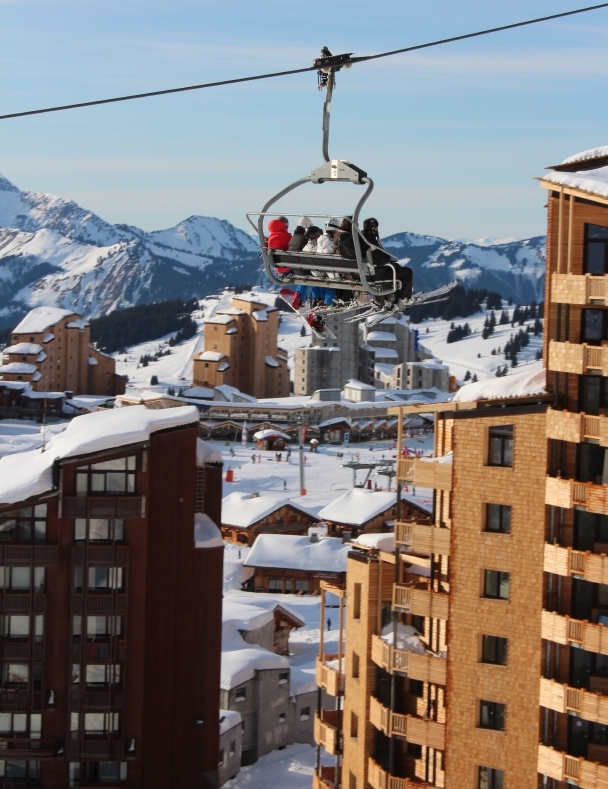 These slope side homes and condominiums are the ultimate in ease, convenience and time savings for your ski holidays. 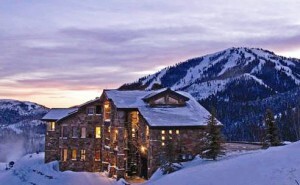 In Park City, Utah Deer Valley Resort has the most offerings when it comes to ski-in/ski-out real estate opportunities. There are currently just over 150 homes and condominiums in the Deer Valley area that can be classified as ski-in/ski-out (for our purposes, we will consider anything that is a shorter jaunt from the door to skiing than from the resort parking lots to the lifts to be ski-in/ski-out). Of course, not all ski in and ski out locations are equal and there are many considerations that need to be made when it comes to choosing the location that is right for you. Which runs are most easily accessible? Some ski-in/ski-out locations may require advanced skiing level capabilities to ski in and out (this might be similar to a beachfront home with big surf, great if you are a big wave surfer, but if you want to swim you may need to drive to a calmer location). 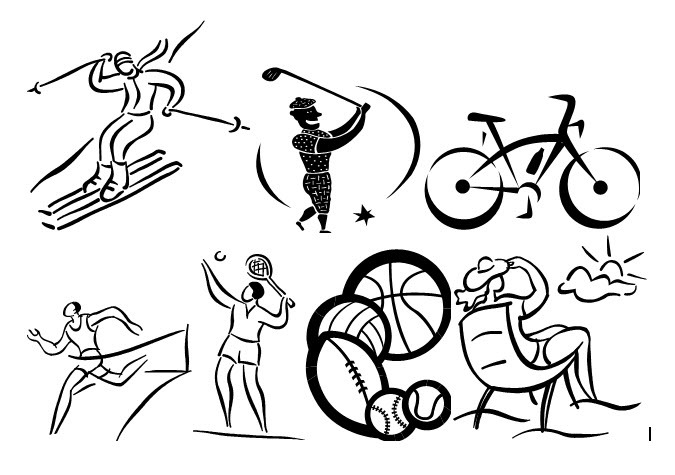 What non-skiing amenities are nearby? Maybe this trip you just want to relax, take a walk, spa, etc. How far will you have to go to get a coffee and catch up on some reading? Are there restaurant options nearby (and how many of them)? Most of the Deer Valley real estate options have a full kitchen, but if you dont want to cook or bring in a private chef, how easy is it to go out for a quick bite? How are the neighbors and the neighborhood? Arriving to your single family home tucked in the trees and next to the ski run is far different from pulling into the multi-story full service hotel; there are positives and negatives to each. The question is which one is right for you. Posted in buyers, Park City Neighborhoods, Park City Skiing | 0 Responses to "The Best Ski-In/Ski-Out Deer Valley Homes & Condominiums"
It is September 25th and the first snow of the year has hit Park City! No, it will not stick around, and the weekend should see highs pushing 70. Still, seeing snow falling and a white blanket visible on the mountains is a not so subtle reminder that winter is on the way. 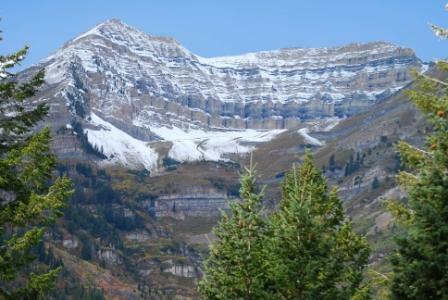 There have been other reminders that winter will soon be here; the red leaves on the Gambel Oaks, recent yellow of the Aspen leaves, gear guides reviewing the new equipment and clothing for the season and of course the annual Ski Resort rankings. The Park City area resorts earned rankings very similar to last year. Each year SKI Magazine readers are polled and rank ski resorts in 20 different categories to determine the Best Resort in North America. Deer Valley earned the number 2 spots for the second year in a row after 5 years in the number 1 spot overall. In garnering the 2nd overall spot, Deer Valley was ranked number 1 in the categories of Grooming, Service, Lodging, On-Mountain Food, Dining and Family Programs. Deer Valley also earned top ten rankings in seven other categories. Park City Mountain Resort fell one spot to the number 5 overall ranking for best resort. Park City Mountain Resort earned number one rankings for Access, Off-Hill Activities, and Terrain Parks plus a #2 ranking in the Family Vacation category. Canyons Resort once again was ranked as the #10 overall best resort in North America. The Canyons ranked in the top ten in 3 categories including Access, Dining, and Lodging. The annual Ski Magazine survey polls more than 140,000 (with 40,000 responses) skiers and snowboarders review nearly every aspect of winter alpine skiing and snowboarding resorts. The complete list of rankings is listed in SKI Magazines October issue, which is on newsstands now. Interesting notes about the rankings; The Park City area earned #s 1, 2 and 5 in the Access category. Also, while other resorts have seen a yo-yo effect depending on natural snowfall, the Park City are Resorts have remained consistently in the top ten Best Overall despite less than normal snowfall totals the past two years. Having all three Park City area resorts in the Top Ten is a great benefit when it comes to marketing Park City; no other town has this. The effect on visitor nights and real estate values isnt quantifiable, but it is undeniable. 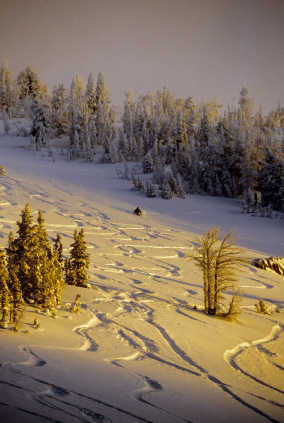 The other resorts rounding out the Top Ten Ski Resorts in the West are: 1. Jackson Hole, 3. Vail, 4. Sun Valley, 6. Whistler, 7. Telluride, 8. Steamboat, 9. Snowmass. Posted in Park City Skiing, Park City value | 0 Responses to "Ski Resort Rankings"
Four of Utahs best ski areas have teamed up to add value to their season ski passes. Alta, Snowbird, Park City Mountain Resort and Deer Valley announced this week that qualified season pass purchases at each resort will include shared lift privileges at the other participating resorts. With the purchase of a season pass (qualifications vary between the four resorts) you will also receive access to ski the other three resorts three times each during the season. Limitations apply during peak holiday weeks. Considering an average lift ticket price of $94 between the four resorts, this is an $800 plus value that is being added to a season ski pass for the 2013/2014 ski season. It is often hard to break away from your home resort where you have a pass as the idea of paying $100 to go to another resort is tough when you have a pass that is paid for already. And what a bonus for when friends from out of town are in and a season pass holder can go ski the resort next door or take a short trip up one of the other canyons to ski. The announcement comes on the heels of Vail Resorts taking over operations at Canyons in Park City and making them part of the Epic pass which allows skiing privileges at all Vail Resorts on one season pass. The big difference for Deer Valley, Snowbird, Alta and Park City Mountain Resort is that these are all a short day-trip away. Season pass sales at all Park City area resorts are on sale now with early season pricing specials in effect through mid-September. So buy now and start to make your ski season plans, winter is only a few months away! Remember that Deer Valley and Alta are ski only mountains that do not allow snowboards. Posted in Park City Skiing | 0 Responses to "Ski Resorts Adding Value to Season Passes"
Vail Resorts announced today that it has entered into a long term lease to assume all of the resort operations of Canyons Resort in Park City, Utah. Vail lost out to Talisker a few years back in the bidding to purchase the resort, but is now coming back to take over the operations. Talisker Corporation has retained all of the development rights. In the original battle between Vail and Talisker for the purchase, Taliskers lack of ski mountain operations background was a point of contention. In todays press release Vail commended the work Talisker had done with $75M in improvements and other moves that had raised Canyons into the top ten ski resorts in North America as rated by the readers of Ski Magazine. The website home page of Canyons Resort announces that Utah is now Epic. 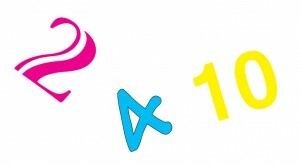 This refers to Canyons Resort being included as part of Vail Resorts Epic Pass which offers skiing and riding at Vail, Beaver Creek, Breckenridge, Keystone, Northstar, Heavenly, and Kirkwood all for $689 (20% below the price of a Canyons Resort pass last year). The press release states that the companies agreed to a fifty year lease with six fifty year options to renew at a price of $25 Million per year plus a yearly increase and portion of EBITDA. The agreement also includes the land which Talisker currently leases to Park City Mountain Resort. The leased land is mentioned as potential lease without additional consideration. The litigation between Talisker and Park City Mountain Resort is ongoing. The chairman and CEO of Vail Resorts is quoted as saying he hopes Vail Resorts can play a constructive role in helping to arrive at a solution that offers the best outcome for guests of both resorts. Great news for skiers and snowboarders at Canyons and Park City, but a questionable phrase for Powder Corp (Owner of Park City Mountain Resort). Park City as a whole should only benefit from what Vail Resorts brings in terms of marketing and resort operation expertise. Posted in Park City Real Estate Notes, Park City Skiing, Park City value | 0 Responses to "Canyons to be Operated by Vail Resorts"
It is a Park City bluebird day! Not a cloud in the sky with a current temperature of 27 and a predicted high of over 50 degrees. The end of the ski season is still over two weeks away and surely there will be more storms before it is over. But today has all the markings of spring and the summer activities soon to come. Spring may be in the air but the skiing in Park City is far from over! You just have to adjust your thinking to match the conditions. Start the day off with a few Deer Valley groomers. Remember that while the weatherman said the overnight temp would be in the mid 30s, the wind chill and elevation put that temp into the 20s so the snow did freeze overnight. Wait until the sun has warmed up the non-groomed runs. By mid-morning the bumps will ski like mashed potatoes and the groomed runs will allow you to carve a trench behind you. These are great snow conditions!! The skiing and snowboarding will stay great but a little wet as the afternoon sun takes hold. Spring fever can really take over at this point. The great thing is that Park City is ready for that. Give in to the call and move onto the next endeavor. Go down to Midway (just 20 minutes away) and play nine holes of golf at Wasatch or Soldier Hollow (yes they are OPEN), grab a bike and go for a ride, the fishing is great, maybe an afternoon run, or just a enjoy a frosty beverage at Deer Valleys ski beach. With the recent time change, sunset isnt until nearly 8pm. There is time for a third activity for the day. Make it a Park City Trifecta; start the day on the slopes and add two more outdoor activities of your choice. Enjoy a perfect Park City day! Posted in Park City Events, Park City Skiing | 0 Responses to "Park City Spring Ski Trifecta"
Park City was recently named as one of the top 5 Ski Resorts in the US in terms of Awesomeness. Park City was grouped as one resort due to the proximity of its three ski mountains (Canyons, Deer Valley and Park City Mountain Resort)all being within ten minutes of one-another. Similarly Alta and Snowbird were grouped together as were Vail and Beaver Creek (they were ranked #2 and #4 on the Ski Resort Awesomeness rankings). Jackson Hole led the way and Telluride came in at #3. Of interest in this Ski Resort Awesomeness ranking is the ratings of the skiing; the author rates Canyons as the best of the three resorts in Park City with Deer Valley second and Park City Mountain Resort third. Mr. Steiner definitely knows the resorts as he makes mention of the good and bad at all three. Canyons 9990 lift takes his top spot to ski while there (wed throw in peak 5 as a great spot to make laps until 9990 opens) and he cautions against spending the day getting to something as the mountain is quite spread out. Deer Valley gets a strong recommendation not only as a fancy resort, but also for its great skiing terrain including trees and chutes. He calls Empire Lodge the greatest ski lodge in the world and calls the Deer Valley Turkey Chili the greatest single dish served mountainside anywhere. Forbes.com calls Jupiter Peak the best of the skiing at Park City Mountain Resort but laments the run-outs and the occasional crowds (for Utah). A thumbs-up was given for the ability to ski into Main St and ride the Town Lift back. All-in-all it was a great positive article based almost solely on the ski aspects of Park City. When you throw in the other things that make the area great (restaurants, shopping, galleries, Sundance, nightlife, spas and all the non-ski-related amenities) Park City continues to shine as one of the most well-rounded destination vacations or place to call home. For everyone east of the Rockies it was noted that no resort there made the list due to the snow and terrain not ranking in terms of Awesomeness versus the west. For a complete version of the story see: Top 10 Ski Resorts in the United States for 2013. For information about Park City Real Estate contact a realty professional with the YouInParkCity.com Group at (888)968-4672. Posted in Park City Skiing, Park City value | 0 Responses to "Another Top Ten Rating for Park City"
Annual Ski Resort area rankings put all three Park City Resorts in the Top Ten. SKI Magazine is due on the newsstands or in your mailbox the 16th of October. The upcoming issue features the results of the annual readers poll. In the magazine they will rank the top 50 Resorts in North America. Park City, Utah is home to three resorts that cover nearly 10,000 skiable acres located just a few miles apart. This year for the first time Deer Valley, Park City Mountain Resort and Canyons Resort are all ranked in the readers poll top 10. Deer Valley Resort takes the 2nd place ranking; dropping from its unprecedented reign in the number one spot for five years in a row. Deer Valley still saw a number one rating in many individual categories and was likely impacted by the lack of natural snowfall last season. Park City Mountain Resort moves up a notch this year to number four in the SKI Magazine Readers Poll top 50 Resorts. This is the best ranking that the resort has ever earned. The tens of millions of dollars that have been spent at Canyons Resort in the past few years are paying dividends in the minds of SKI Magazine readers as Canyons receives the number ten spot in this years poll. This is an impressive move from rankings in the low 20s just a few years ago. The number ten ranking for Canyons Resort is also the best that the resort has ever earned. Park City, Utah is unique in that there are not many cities that are home to multiple ski and snowboard resorts. Deer Valley, Park City Mountain and Canyons Resorts all share in some high ratings related to Park Citys snow, weather, accessibility to an International Airport as well as local restaurants and non-ski related activity options. The YouInParkCity.com Group congratulates all three of Park Citys World Class Resorts on their rankings in SKI Magazines annual reader poll for the 2012/2013 season. For information about how the resort rankings may affect real estate prices in Park City, Utah contact a Park City Real Estate Professional with YouInParkCity.com at (888)968-4672. Posted in Park City Skiing | 0 Responses to "Park City Ski Resort Rankings"
Season passes can now be purchased at Park City Mountain Resort, Canyons Resort, and Deer Valley. Daily ticket prices have not been released at all of the resorts, but if you are going to ski ten days or more it makes good sense to look into making an early purchase of your season pass. Park City Mountain Resort Season passes offer the broadest range of options as their passes can be customized for the resorts various offerings. Adult Season passes start at $750 and top out at $1425. The add-ons include underground parking, night skiing/riding, and Fast Tracks express lanes. Youth Passes (7-12 years old) range from $145-$445; Teen Passes (13-17 years old) range from $195-$495; Young Adult/College Passes range from $475-$1050; Senior Passes (65-69 years) are offered from $475 to $1050, and Super Seniors (age 70 and above) start at $270 and max out at $845 with all the options. 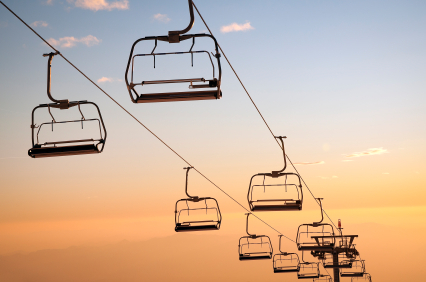 Pass purchases include summer lift access for the current season. The age of the passholder is determined as their age on opening day November 17, 2012. Daily rates have not been published yet, but were $96 per day for adults last season, so anything more than 8 days for the year could prove to be a worthy investment. Pass prices go up on September 15. Canyons Resort made a change this year and got rid of the mid-week pass option, but they have also reduced the rate on their full season pass so that it is less than the price of last years mid-week pass. If you buy an adult full season pass before Sept 15, 2012, the price is $849 (after Sept 15 the price jumps to $1149, and $1449 after Oct 15). Canyons offers a platinum upgrade which includes valet parking and a ski/boot locker with boot dryer. Youth (7-12 years old) Season Passes at Canyons Resort are $409 for non-residents and $249 for Utah students. Young adults (ages 13-17) from out of state can purchase a full season pass for $749 while Utah students pay $279-$319 depending on their school grades. Utah college students can buy a season pass for $599. Canyons Resort also offers pass deals for Teachers, Firefighters, and Police as well as Military personnel. As with Park City, Canyons season passes can become a better value with as little as 8 days of skiing/riding for the season. Deer Valley which was ranked the #1 Resort in North America for the 5th year in a row last season is the only one of Park Citys three resorts to have posted their daily ticket rate for the 2012-2013 season and for the first time, it has topped $100 with a daily rate of $102 ($106 Holidays). Adult full season ski passes at Deer Valley are $1810 ($1470 for the 2nd when purchasing 2). Youth passes (4-12) are $450. Teen passes are $750 and Young Adult passes (18-23) are $1100 for the season. Seniors in the 65-71 year old bracket can purchase a season pass for $925 while Super Seniors (72 and up) can get a pass for $850. Midweek passes are available at Deer Valley; adult passes are $925 while Senior rates are $850; note that midweek passes are not valid Dec 26-Jan 1. Prices go up on November 1, 2012. If you think youll be in a position to ski more than a week this upcoming season take a hard look at a season pass at your favorite Park City area resort. I guarantee that if you have a pass you will ski/ride more than if you are buying individual tickets. You will be willing to go up for just a couple of hours because youve already paid for it. Take full advantage of why you own real estate in Park City and get out on the snow this year. For more lift ticket specifics visit: www.CanyonsResort.com, www.ParkCityMountain.com , and www.DeerValley.com. Posted in Park City Skiing | 0 Responses to "Back to School Sales and Back to Skiing / Riding in Park City"
The 2011-2012 ski season is half over; hard to believe, but it is true. It is a great time to check on real estate sales in Park City as well as a time to remind yourself to get out and ski before you start thinking about summer related activities. So far this season the lack of snowfall hasnt impacted Park City real estate sales. The December through mid-February period equating to half of the winter season shows sale numbers about on par with the same period in 2010-2011 even though the snow depth has been less than half of last season. Current trends still show pricing down (about 4% on single family homes and 10% on condominiums). Unit sales of homes and condominiums are nearly identical for the periods while building lots are off nearly 40% for the period. The drop in vacant lot sales appears to have been impacted by the drop in bank REO offerings which represented 25% of the sales last year and only 5% of the vacant lot sales this season so far. Fewer sales of condominiums over $1M and half as many sales of Park City area condominiums in the luxury category (over $2M) compared to the previous season. Park City Single family home sales remain steady across all market levels including the luxury segment over $2M. Bank REO sales were down dramatically for the compared seasons, but look for that to change as the MERS issues are cleared nationally. Canyons Resort real estate is showing stronger condominium sales, but weaker single family home sales. Data herein is derived from the Park City MLS system for sales in the greater Park City areas (areas 1-23). Data is deemed reliable but not guaranteed. For specifics about any Park City real estate neighborhood contact a realty professional with the YouInParkCity.com group at (888)968-4672. Posted in buyers, Park City Real Estate Notes, Park City Skiing, sellers | 0 Responses to "Park City Real Estate Sales mid-Ski Season"
About a month ago we toured the changes at The Hyatt Escala Lodge at Canyons Resort and had a fantastic dinner in one of their mountain view 3 bedroom luxury condos. The Lodge, which was rated as one of the top 12 Hot Hotels in North America, continues to step it up and is delivering on the news that they announced months ago, the opening of The Escala Provisions Company, The Restaurant and bar. Other additions include 5,000 sq. ft. of meeting space, a staffed childrens center and 7,000 sq. ft of flexible indoor /outdoor space. This gives Park City Real Estate another amenity rich, high end luxury condo option for clients who are considering a ski in/ski out Park City home. There are currently 21 Hyatt Escala Lodge Condos on the market ranging in price from $365,000 for a 1 bedroom, 1 bath condo to $2,000,000 for a 4 bedroom, 5 bath residence. 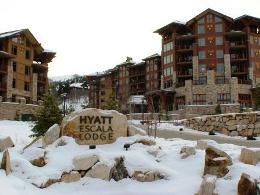 In the past 12 months there have been 5 sales at the Hyatt Escala Lodge. The sold prices ranged from $299,000 for a 1 bedroom to $1,916,000 for a penthouse 3 bedroom 5 bath. Another factor to take into account when considering purchasing Canyons Resort real estate in general are the many changes that have taken place in the last year or are on the books. The Winter Zip Line tour is in and is something I have to try. The tour is comprised of two zip lines; one is 800 feet long has an 8% grade the other is 2100 feet with a 10% grade. Just thinking about this makes me grin. Additional snowmaking, new lifts, a remake of the resort center area and the beginning of construction on the new golf course are just a few things that have happened recently. 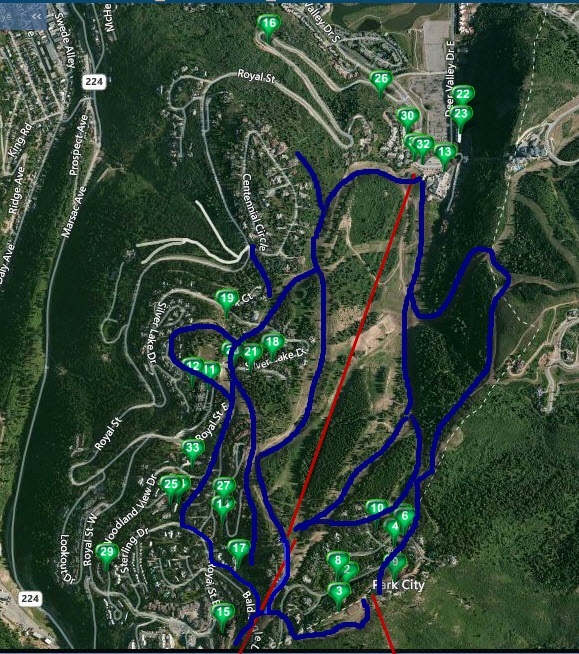 For skiers and boarders (and owners of any Park City real estate) the proposed Skilink which will connect Canyons Resort in Park City to Solitude Ski Resort in Little Cottonwood Canyon will have positive impacts too many to list. If and when the Ski Link goes through final approval and is built skiers and riders will be able to access Solitude from Canyons ski resort and avoid the 45 minute drive. Click for more information including all for sale listings at the Hyatt Escala Park City or contact the YouinParkCity.com group. Click here to learn more about SkiLink. Posted in Uncategorized, Park City Real Estate Notes, Park City Skiing, Park City value | 0 Responses to "Park City Luxury Ski Condos"